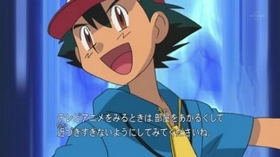 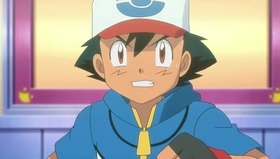 With his first Gym Badge at stake, Ash's battle challenge rages on. 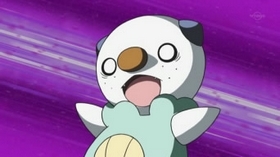 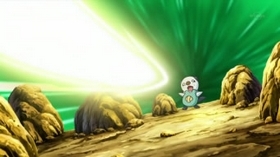 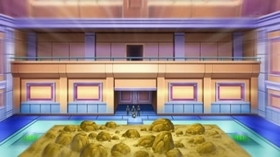 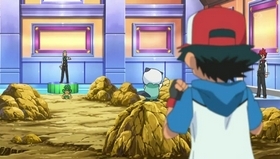 So far, our hero has defeated one of the three brothers who lead the Striaton City Gym, and lost to another. 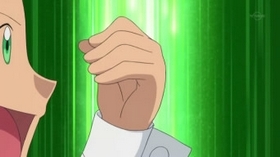 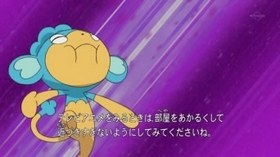 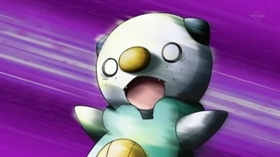 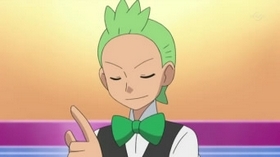 He now faces the deciding match against Cilan. 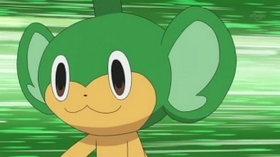 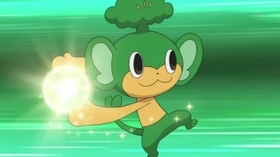 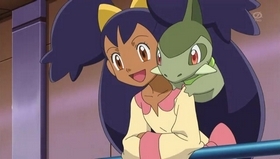 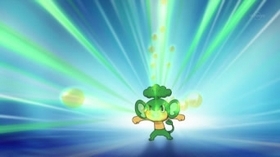 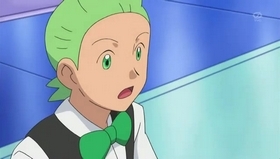 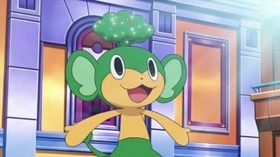 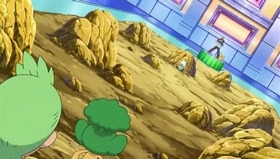 Early in the match, the Gym Leader's Pansage proves to be a formidable opponent, and Cilan declares Ash's battling style a bit bland and predictable. 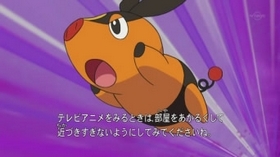 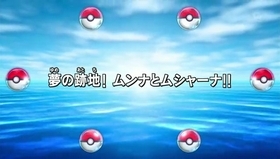 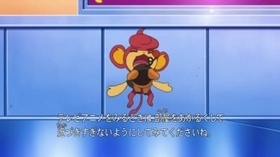 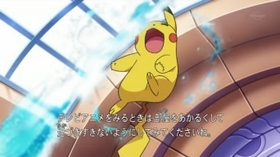 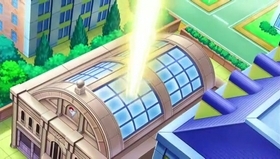 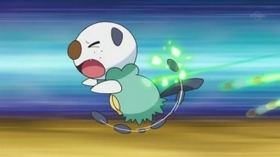 Just then, Ash tells Oshawott to aim its Water Gun against the Gym wall, a creative strategy that ultimately leads to Ash's victory, earning him the Trio Badge! 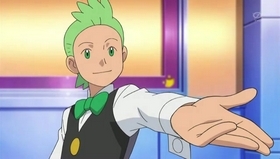 Back at the Gym, Cilan reveals that as a Pokémon Connoisseur, he's fascinated by Ash's ability to see the pairing possibilities between Trainer and Pokémon. 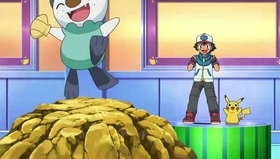 His interest ultimately leads him to ask if he can join our hero on his journey. 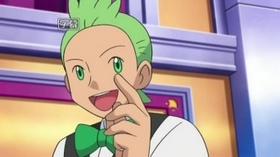 Ash agrees, and the traveling trio of Ash, Cilan, and Iris is born!